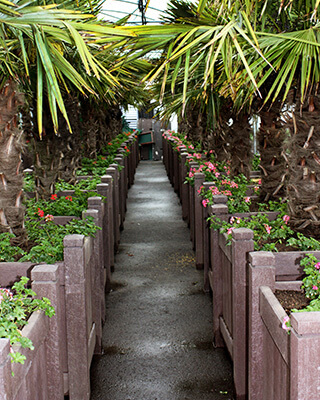 The bedding in your local park, the roundabout at the end of your road, the planter on the quays: Dublin’s famous for its bursts of floral colour. Any journey you make in the city is likely to take you past some cheery display. 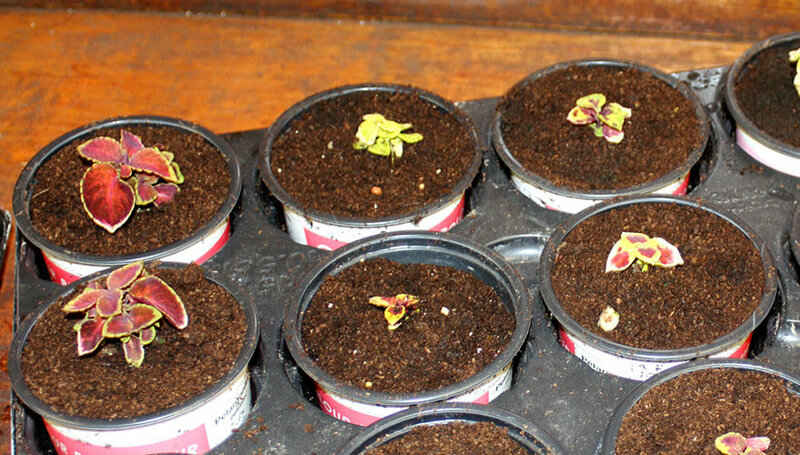 But did you know that every plant you see comes from a single nursery, lovingly grown from seed to flower? St. Anne’s Park on the northside of the city is an embarrassment of riches. Its the second largest public park in the Dublin area, the grounds of the former estate of Lord and Lady Ardilaun (hold a golf course, sports fields, trails, walks and gardens, architectural follies, and some elaborate Victorian red brick stables (home to Olive’s restaurant and a popular food market every Saturday). Every July there’s a famous Rose Festival too. But we’re here to see something entirely different; something that the thousands of visitors who come here every week probably don’t even know exists. 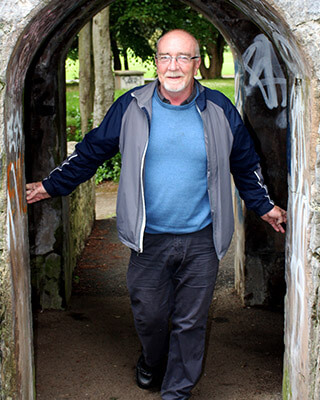 Dublin.ie is with Mick Harford, Senior District Parks Officer, Dublin City Council. Mick has an extensive list of responsibilities on the north east of the city, but one of his lesser-known tasks is running a plant nursery, and no small one at that. He leads me through the rose gardens, past some beautifully maintained herbaceous borders that line the path to the clock tower, until we reach a rather unremarkable and modern gate. 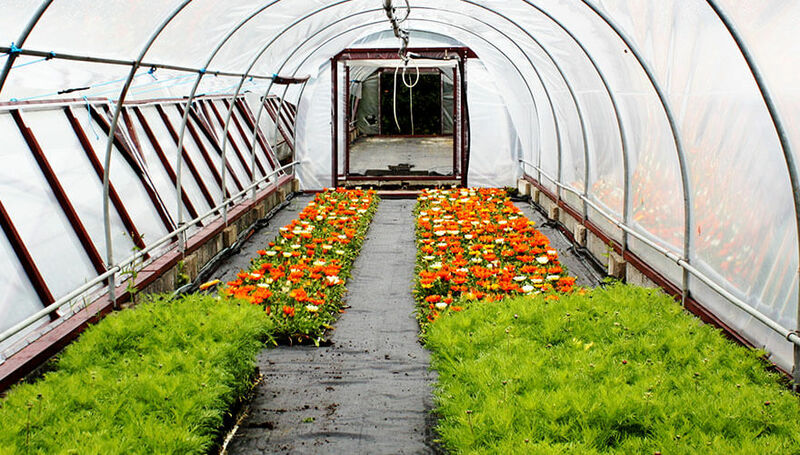 But beyond it is something entirely unexpected: 15,000 square meters of polytunnels and greenhouses that pump out roughly 350,000 plants and flowers every year, the ones that adorn our city streets in every season. As Dublin City Council vans whizz in and out of the yard to collect what they need, Mick glances at his watch more than once, and I realise he has a lot to be getting on with. At this time of the year, he’s a busy man, and not everyone is lucky enough to get this peep behind the curtain of The Flower Factory. But the next time you see the fruits of this little corner of St. Anne’s Park on your Dublin street, you’ll know exactly how they came to be. Connor is an advertising creative and writer who has now lived in Dublin longer than he hasn’t. His mother saw fit to give him two n’s, cursing him to a life of spelling his name aloud for anything even mildly official.